Welcome to language-easy.org! Well, as you have chosen this article about German past tense, I suppose that you want to enter the depths of German tenses. Although this German tense is not as commonly used as the other two German tenses of the past, you should master it anyway. Well, you should understand that its importance lies in written texts and, apart from that, in formal language. So, especially in formal business emails or simply situations where a high level of German is expected, it is important to dominate the correct use of the German past perfect. So, in the following article I’d like to talk about what the German past tense actually is and also define its usage in some detail. Furthermore, we will look the correct conjugation of verbs in the German past tense. Unfortunately, there are also some exceptions in the context of the past participle – but don’t worry, we will try to cover all of them. By the way, in case you’d like to have some background information about the German past perfect just have a look at this article on Wikipedia. Now, let us not loose too much time and go straight to the first point of this article, the definition and the correct usage of the German past tense. Los geht’s! First of all, I’d like to clear up what the German past perfect actually is. For sure, many of you are familiar with the past perfect in the English language, so at least the definition and usage should be clear to you. Luckily, this English tense is quite similar to the German one. Nevertheless, I have already mentioned that are some exceptions from the rule – but we’ll have a look at them later on. So, what is the German past perfect? The German past perfect or pluperfect (Plusquamperfekt in German) expresses actions that took place before a certain point in the past. Well, and as I have already mentioned, it is mainly used written texts and formal situation and most important, in storytelling. 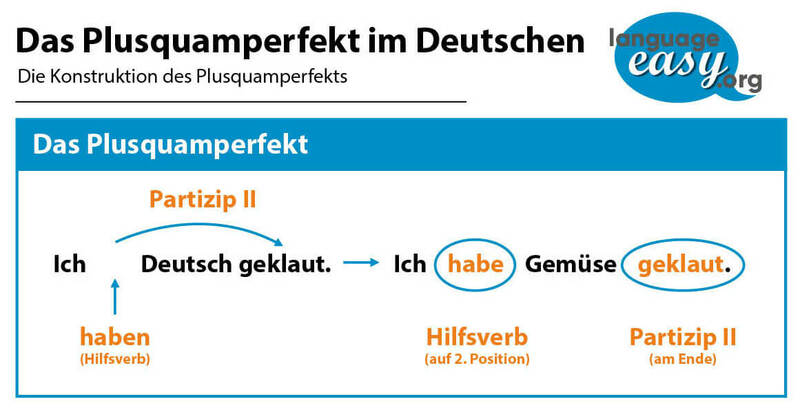 So, let’s have a look at an example, so that you can understand the correct usage of the German past perfect. “Philip hatte viel geübt, bevor er Fussball spielen konnte.” – Philip had practiced a lot before he was good at playing soccer. Of course, it is quite clear that in this example we use the German past perfect to describe an action before a certain point in the past. And now, we will come to the next point in this article about German past tense and talk about its conjugation. Now, we will have a look at the conjugation of the German past tense. Well, this might be the most difficult part of this article, as there are some exceptions. But, don’t worry – we will try to name all of them. So, first we will talk about the conjugation of the German past perfect. After that, we will to go into some details about the past participle and talk about exceptions. So, the conjugation of the German past perfect is actually quite easy. Well, you just need the forms of “sein” (to be) and “haben” (to have) in the simple past and then add the past participle. Well, for now, the most important thing for you to understand is the usage of the forms of “sein” and “haben”. Actually, that’s not to complicated. So, let’s come to the second part necessary for conjugating the German past perfect, the past participle. Actually, the construction of the German past participle isn’t such a big deal either. Well, you just have to keep in mind that it is formed in different ways depending on whether we are conjugating a weak verb or a strong/mixed verb. Strong ge … en / sehen – gesehen Ich hatte die Frau gesehen. Weak ge … t / lernen – gelernt Ich hatte viel gelernt. Mixed ge … t / denken – gedacht Ich hatte an dich gedacht. Well, there are also some exceptions in this context. 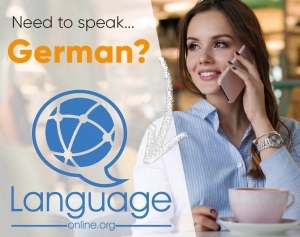 So, in case you are interested in finding out more about the correct construction of the German participle, just have a click on this article and language-easy.org will help you to master this topic as well.